Award-winning Seattle Wedding Videos & Destination Wedding Videography offering beautifully crafted wedding and destination wedding videos, live event videos & corporate videos. Everything about our fantastic wedding couples is captured in their own unique wedding videos, making sure that no two wedding videos are ever the same! 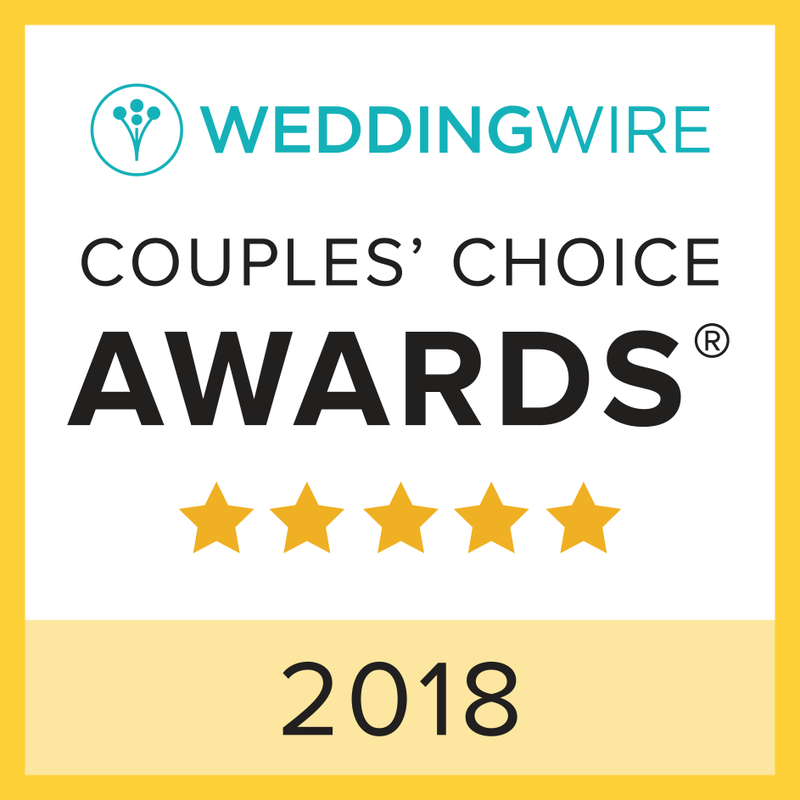 Last year we were honored to be named a finalist in the King 5 Best of Western Washington - "Best Wedding Videographer" poll as one of Seattle's best wedding videographers! See below for some of our best and favorite Seattle wedding videos and destination wedding videos. Listen to our podcast Get To Know Your Wedding Pro! Check out our Wedding Proposal Videography! Check out our Wedding Elopement Videography! Please check out our Wedding Videography Guide for more information regarding finding the perfect wedding videographer for your wedding day! Learn about our custom Data Preservation Process which we use to back up, secure, and preserve your wedding videography footage! AVAILABLE FOR TRAVEL ALL OVER THE UNITED STATES AND WORLDWIDE. BOOK ANY 12+ HOUR WEDDING VIDEO PACKAGE AND WILL WILL WAIVE ALL TRAVEL FEES, WE LOVE TO TRAVEL! 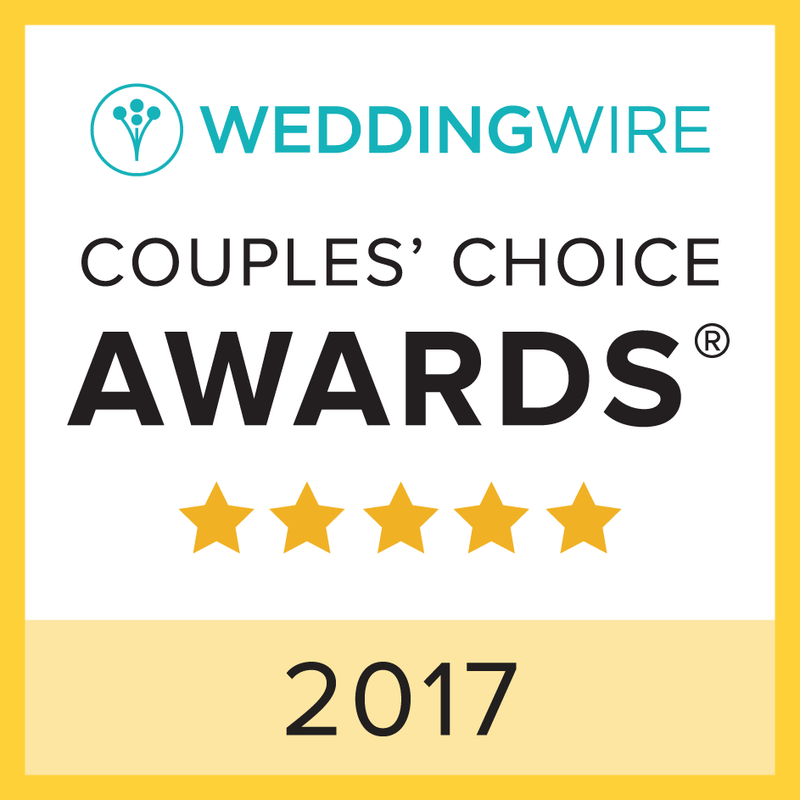 We would like to extend a special thanks to all of our videography clients who consider us one of Seattle's Best Wedding Videographers! We appreciate all your love and support! Hear from couples about their experience working with Best Made Videos® for their wedding videography. "We both love it so much! Thank you for perfectly capturing our day!" Click here to watch their testimonial video! "Reid was absolutely amazing to work with!!! He made videoing our special day, flawless! He is very personalable and responds promptly to any and every question we had. He also got us our clip video within a week and our full wedding videos shortly after!! We HIGHLY recommend Reid for your videographer!!" “WOW WOW WOW WOW WOW WOW WOW WOW WOW WOW WOW WOW WOW WOW WOW WOW WOW WOW WOW WOW WOW WOW WOW WOW. "I’ve been thinking about what I could say about how amazing Reid is at capturing one of the most incredible moments of my life. So I figured the best way would be to start at the beginning....I met Reid through a friend a few years ago and it’s been great seeing his business grow into what it is today. Fate would have it when he walked in the bridal suite of my Maid of Honor’s wedding in 2015 - capturing the beginning of my love story with my future husband as we both caught the bouquet and garter! Three years later, Reid was the first person I called when Paul and I had discussed our future plans to get married. I asked Reid for wedding advice and recommendations. It was really important to me that the wedding be fun for our guests and still have the vision that Paul & I wanted. I can’t thank Reid enough for everything he’s done and how wonderful our wedding video is. If you want someone who has a passion for capturing this moment and making it that much more incredible, hire Reid. You won’t regret it!" "We found Reid (Best Made Videos) on Yelp. He was awesome to have as our videographer and worked well with all of our other vendors (photographer, DJ, officiant). My favorite thing about Best Made Videos are the upgrades they offer (we didn't opt for any), but it's nice to know you could have a drone or 4K video upgrade." "Reid and Best Made Videos were wonderful! For the entire year leading up to the wedding, Reid was responsive and professional. On the day of our wedding, he brought a level of energy and enthusiasm that added to our special day. We absolutely love our wedding video. He captured the funniest and most intimate moments of our wedding. Within the first 24 hours of receiving the video, we watched it about 10 times and look forward to watching it many more times in the years to come. Hiring a videographer and hiring Reid, was one of the best decisions we made while planning our wedding. Thank you so much Best Made Videos!" "Reid was the first vendor we chose to share our special day with. I knew from the first second I watched one of his videos, that I needed him to capture our day. I can’t say it enough - we were thankful and lucky to have him! Not only did we receive and amazing wedding video, but we have basically every second of the day to go back and look on. His team was so professional, creative and fun! Reid does an amazing job of keeping the flow of the day as smoothly as possible and keeps you sane! I can’t thank him enough and I cannot wait to view everything twenty years from now. Thanks again for EVERYTHING!" 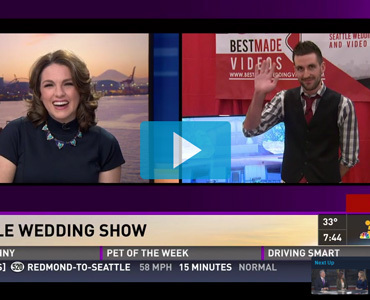 "Reid at Best Made Videos was an integral part of our wedding for ensuring we will have a priceless capturing of the most important day of our lives to watch countless times in the years and decades to come. The professionalism he exudes while on scene for the big day is unparalleled. My wife and I were simply blown away. We left for our honeymoon two days after the wedding and what will be one of our favorite lifetime moments was watching the highlights video Reid put together while soaking in the sun on the beaches of Maui. The audio and visual quality of the video is superb; not to mention the brilliant and artistic editing Reid does for the highlight video. To have all of this captured means more than can be described with words. We hope as many couples as possible can share the joy we have from having made Best Made Videos an essential part of our wedding." “We absolutely love it!!! So much went over my head that day, and I’m so glad you were there to capture all of the important moments we missed that day! THANK YOU!!! I cannot stress enough how important it is to hire a videographer for your big day!! There is so much that goes over your head that day and to have a video of it to see afterwards is the best gift! All the details we had missed were all captured (and the drone addition was perfection!) We could not have asked for a better videographer! Reid is prompt, efficient, detail-oriented and overall just a nice guy! It was fun to work with him and his assistant. I would highly recommend him and hope to have him capture future festivities! “I wish all my vendors were a fraction as responsive as Reid was. At all hours of the day, he'd always write back within minutes! It was nice to feel heard and not be anxious about waiting days for a response. We were lucky enough to get a bit of a deal for his services after attending Weddings in Woodinville and really appreciated the fact that he was willing to include his 2-hour travel time to and from our venue in his overall package pricing. In addition to some 'bonus' iPhone shots that he shared with us the day after our wedding - Reid also shared his ‘work in progress’ via Instagram in the days after the wedding and true to his word – 2 weeks later delivered AMAZING highlight & full ceremony videos. His creative ability to capture our personalities and the ‘feeling’ of the day was truly unbelievable!!! No surprise – we (and many of our guests) have watched the videos multiple times! Thank you Reid, Jeff & the Best Made Videos Team!!! "Reid and crew are flat-out exceptional (all our thanks and due credit to Jeff and Matt, too!). From the onset, Reid is no stranger to carrying himself and the tight communication with such poise, confidence and excellence. He takes extra weight off your shoulders that you didn't even know existed until you endure and share an immense gratitude for vendors/partners like Reid that allow such finesse during Wedding planning; the type that will never be taken for granted but all-the-more appreciated in the final product and keepsakes, thereafter. Not once did we ever feel concerned that our voices weren't being heard or that our feedback was being compromised. Reid has this get-it-done mentality that is exciting to witness and see translated in his quality of work. We were, first, referred Best Made Video's way by an old colleague in the Marketing Media/Production industry and deservingly so. We had a very unique Same-Day edit vision and, not only was Reid up for the challenge but, Best Made Videos over-delivered and exceeded our expectations. The entire process is set-up for success. I recall our Day-Of Coordinator assuring us that he "knows what he is doing" when sharing and reviewing that our Videographer contract was good-to-go. During the morning of our Getting Ready phase, he showed up to the Bridal Party location ready, enthusiastic as ever and took control of all the timing that he had to work with. Not in the least bit of the over-bearing type but the kind where you truly don't know how the Day-Of is going to go until you are fully immersed in it and it is happening (you can only bake in slots of timeframes to a point) and Reid got the job done with intended shots while paying great attention to each and every little detail that could possibly be captured. He did so in such a refined and encouraging way. Another family friend asked post-wedding if we had a personal relationship with Reid just by the embracing way we were able to hug it all out at the conclusion of the crazy, wild, fun and beautiful day's filming but I firmly believe his natural passion in this business has the tendency to reflect in this way. Without a shadow of a doubt, take on Reid and his team if even slightly considering. The new Mr. & Mrs. Wurtz have the utmost respect and admiration for the level of service exemplified here. The highest of recommends we are able to give. There are not enough thanks in the world to convey how much Best Made Videos truly completed our day!" “Awww man the feels! Thank you so much!! It turned out great! Awesome to work with, very responsive to emails and prompt to receive video back!" "A lot of people think a videographer is an unnecessary expense for your wedding day, but I’m here to politely, yet forcefully suggest that you NEED a wedding videographer and you need it to be Best Made Videos. You are going to spend months on every little detail of this day but what no one tells you is that while everyone else is enjoying your string quartet, admiring your flowers, and snatching up the favors that your family spent hours putting together, you’re not going to get to enjoy that moment with them and you’re probably never even going to hear it/ see it/ live it at all because you’re busy getting married! Butttt, if you get a videographer, specifically Best Made Videos, you can relive that moment and watch how much everyone loved that cake you never got a slice of or how much your grandma was getting down on the dance floor. You’ll see how everyone looked at you and your spouse and that’s something that can’t be captured just in a picture or in a memory. You also get this magical moment of how you felt that day and we all know feelings are fleeting, so now when I’m irritated that my husband left the toilet seat up, I can watch our wedding video and remember why I love him so much and how we felt on our big day! Also, Reid and his team are very cool people. Reid is not going to be one of your high maintenance vendors, he shows up, does a great job, and you won’t even know you’re being videotaped all day. It literally felt like we had one of our friends hanging out with us all day. He also got our video back to us in less than a couple weeks which allows you to enjoy it before you’re even out of the post wedding daze. I don’t think my husband knew we were going to have a videographer before our wedding weekend and it’s one of his favorite things from the wedding, we watch it over and over again! Pictures are amazing, but a video is something you get to take with you and cherish forever, so find some funds in your budget to get Best Made Videos! Thank you Best Made Videos!!!" "Reid was very professional on the day of our event. He helped us and the wedding party relax and have a great time. I was worried that I would feel he was in our way and videoing everything, but he did a great job. He worked really well with our photography (Arlene Chambers). The video he produced was done really well and felt real. We shared the video with all of our friends and family and everyone commented on how great it was! I would recommend Reid again, and I think it is important for the videography and photographer to work well together. He was very responsive over email." "Thanks Reid!!!!! We loved hanging out with you and Jeff. Thanks for spending your birthday with us, can't believe the day has already come & gone. We're so excited to see the rest. Thanks for sharing this with us so quick, even when you're on your own honeymoon. Have a great rest of your trip and thank you again." Thank you so much for creating this, you captured everything so beautifully!!! Wow truly my dream wedding video." "Great Job Reid! It looks great we just got done watching it. Thanks again!" "Thank you for the highlight video!!! Wow, it was amazing to relive the day through your wonderful video." 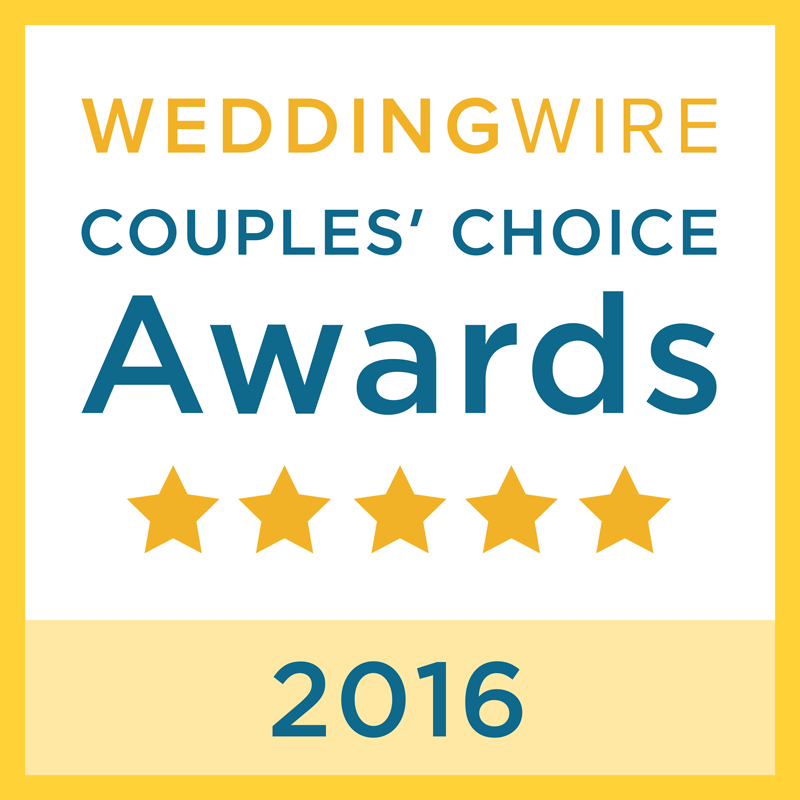 "We were absolutely thrilled with our wedding day video by Best Made Videos! If you are even remotely on the fence of adding a videographer to your budget, please make sure that you prioritize it! Our video beautifully captured our special day, from the small moments to the big ones. We were so impressed with the skill and quality of the video, and the videographer was a delight to work with. He was skilled, calm, and approachable. He worked extremely well with our photographer to capture our day. Having this day in video was absolutely priceless. We were able to share it with our friends and loved ones that were not able to attend the wedding and it meant the world to them. They were able to see our wedding as a guest would. Also, for ourselves, it was such a gift to re-live that day. Our wedding day went by so fast, and was a blur of moments and experiences. By having the video, we were able to re-live moments that we may have forgotten, or notice details that we hadn’t on the day of the wedding. As the bride, I especially appreciated seeing the ceremony procession. Since I was last in the procession, I was not able to see the bridal party walk down the aisle (including the adorable ring bearers and flower girl). I really enjoyed getting to see the ‘perspective’ of the other side! Please make sure that you have a videographer on your wedding day, and please make sure it is Best Made Videos. You will be so glad you did!" "Really enjoyed working with you. Thank you again for making our day so memorable"
"We love it, thank you so so much! Loved the ending! Could not have been better." "Reid was a pleasure to work with during the entire process; he was friendly, prompt, and thorough. We are unbelievably grateful for all of the amazing footage he captured. We were also amazed by how quickly he was able to put together such a beautiful video. I would definitely recommend Best Made Videos"
"Thank you so much Reid. We just watched it and LOVED it!!! You captured us, our friends and family, and the evening perfectly!!" "Reid was recommended to us through a good friend, and he did not disappoint! Not only was he awesome to work with, he made our wedding highlight video within DAYS... it perfectly captured the moments we loved most about our special day. Our guests of the wedding and even friends who did not attend the wedding all said the video made them feel like they were there and made them both cry (happy tears) and laugh at the same time. We are so happy we had a videographer, but even more happy we had someone so easy to work with. I called him the day of to tell him that hair and makeup was running earlier than scheduled and he showed up early enough to catch the end of me getting ready with the makeup artist, he was so flexible!" "Omg Reid I'm so obsessed!!!!!!! "Reid and team did a wonderful job capturing our special day! The highlight video did an exceptional job taking in the true essence of the moment. I highly recommend Best Made Videos to anyone who wants to relive their wedding day over and over. Thank you!" "Reid and Jeff were amazing! He arrived early to our hotel on our wedding day and went right to work among all the chaos. Our entire wedding day-photos-ceremony-first look- ect was all planned outside. Of course, there was rain, hail, power outages, and everything else you could imagine. Reid and his crew went along with all the changes and adapted in every situation! Reid went over the top in every aspect, and even let me hide under his umbrella when I was in my wedding dress in the pouring rain. I would recommend Best Made Videos for any occasion!" "Reid, we are speechless and I am crying. Ronnie keeps saying wow. I'm so thankful I heard you on the blog that one day - there would of been no one that could come close to what you captured for us. Thank you thank you." "Very satisfied with the service. Outstanding." "The one thing I was told by many brides that they wish they had at their wedding was a videographer. I wasn't planning on getting one, but after thinking about it, having your special day captured on film is something that you can treasure for a lifetime. I found Best Made Videos with their wonderful and positive reviews and I was not disappointed when I booked them! Reid and Jeff were beyond professional, punctual, flexible and helped with so much more than just videotaping our wedding day. I got my video highlight back really fast and it was of amazing quality. I had to watch it over and over again just to relive that day and admire the stunning video itself. I can tell that Reid and his team are very passionate about videography and take their roles and jobs very seriously. I would highly HIGHLY recommend brides and grooms to get a videographer and to have Best Made Videos capture it. This will definitely be my little treasure from my wedding day." "My now-husband and I were sure we wanted a videographer to capture our wedding day but had no idea where to start. But within minutes of reaching out to Reid, we got a response back with all of our initial questions answered in full. We loved his work, his attitude, and his flexibility. Reid was consistently and constantly available during the entire planning process. He's an expert in what he does and it shows in our wedding video (that we received a mere 5 days later!!!) we are so glad we chose Reid to capture our day -- he was so easy going throughout the entire day, which we really appreciated in the hustle and bustle of our wedding day. He also got along great with all of our other vendors. If you're considering Reid for your wedding, act fast!" "Reid is AMAZING! Not only is he extremely professional, he is also kind, funny, and a pleasure to be around on the big day. Wedding planning can be stressful but we never had to worry about the videography for our wedding because Reid was super responsive, organized and did wonderful work. I cannot recommend Reid enough. Within a week of our wedding, we had all our videos! We are so thankful we hired Reid and will cherish our wedding videos forever!" "Our wedding day was truly the single most amazing day of my life. I wish it never had to end but at least I have this amazing video to relive it over and over again. Thank you Reid for making our fairytale wedding something we can enjoy and share for the rest of our lives." "Reid was so amazing. He made a beautiful video of our wedding day that captured every part of our day. I would recommend him 100% and would choose him over and over again. He was great to work with leading up to the wedding and on the actual event. We had our video back so quickly with amazing quality." "I would recommend Best Made Videos to anyone. They were a pleasure to work with. Very professional and fun!! The video came sooner then I expected from Reid and needless to say....it was AMAZING!!! The passion he has for videography comes through loud and clear." "The video turned out better than I could ever imagine. It was beautiful!" "We were not originally planning on having a videographer. We didn’t put it in the initial budget or think it was necessary. But after talking with Reid and looking through his website (I think I literally watched every video on his blog in one afternoon), I had to have video. And I had to have Best Made Videos. Reid was so great to work with from beginning to end. He and his assistant Jeff worked so seamlessly with our photographers and they made an amazing team. I can’t believe how beautiful the video turned out - plus we got it only 3 days later! We have no regrets whatsoever of fitting it into the budget. It’s true what they say, the day really does go by in a blur, and having those moments captured in such an elegant and captivating way is priceless." "Best Made Videos does fantastic work. My wife and I have no regrets about getting videography for our wedding, and we're both extremely happy with went with Best Made Videos. Videography is great not only to relive the moments when you were there, but also to see what happened when you were out of the room. First, Reid is incredibly responsive. I'm not sure when he sleeps, but he always responds to messages in a timely manner. He answers your questions, and responds to your concerns. He never dropped communication with us. Second, Reid and his assistant were fantastic throughout the wedding day. They were always there if you looked for them, but they were never in the way. And yet, going back through the footage, they got everything. The video work and the sound quality are great. We've got speeches, shots of the guests, even the father of the bridge getting his groove on (while the bride and I were away taking pictures). So now we come to value. Everyone knows if you're willing to pay, you can get the best. But value is what really drew us to BMV, because we didn't have a blank check for all the expenses. When you look at the Best Made Videos site, you don't see the cheapest videography out there. But Reid gives you everything you're going to want, up front. Look at the others and they want extra for speeches, extra for the ceremony, extra for time, etc. With Best Made Videos, we got speeches, ceremony, and our entire reception covered. AND a second shooter. In addition, we had our highlight video delivered in 3 days. Our full video was delivered the 4th day, and came with all the raw footage. The only extra charges are for drone use and 4K. When we priced out everything we wanted that Best Made Videos includes, BMV came out to be the better value, plus it's the exact styling we wanted. There's just no better choice." Great service, Great Team, Fantastic product! We thank you for all your hard work especially fantastic attitude from not only you but the whole team." What can I say.... great team, excellent work and amazing work ethic. Whole team kept up their enthusiasm with our special day as if it was theirs. Thank you so much for making our special day memorable. We will certainly recommend this company to all friends and family!" "Initially we were not going to hire a videographer for our wedding however after seeing the videos on Best Made Videos website we knew it would be mistake to not explore our options. After just talking to Reid via email we knew that he needed to be a part of our special day. Reid met and exceeded all of our expectations and was so much fun to work with! His professionalism was appreciated but his personal commentaries not only made our wedding video priceless but made us feel like he had been our friend for years. We will cherish this video for the rest of our lives, thank you so much Reid!!" "Reid was absolutely amazing! From the beginning he was very responsive and helpful and on the day of he was prompt, friendly and professional. And we absolutely love our wedding video! It is perfect and he captured everything so well. I would definitely recommend him to anyone who is looking for a great wedding videographer." "Throughout our 18 month long engagement I thought about so many details big and small and truthfully didn't think that I wanted a videographer. I had a wonderful photographer hired and I didn't feel the need to capture our wedding any other way; that was of course until about a week before the wedding. I had a moment of clarity and realized I couldn't not hire a videographer. All of a sudden I knew that this could potentially be my biggest regret of the wedding and I didn't want that, we are only doing this once and I really wanted to not have a regret as large as this one hanging over my head for years to come. I quickly started doing some research and asked around to people I knew that had just gotten married and used a videographer. One of the names that came up a few times was Best Made Videos, so I called, talked to Reid and asked the crazy question of "are you available in 8 days from now to shoot my wedding". Honestly, I was embarrassed to even ask and figured there was no way. He then said, "yeah I can make that work". I couldn't believe that this perfect stranger moved his busy schedule around to fulfill my (kind of crazy) request! I was thankful then and beyond thankful after receiving the final product. I was shocked by how responsive and professional Reid was! I am in business myself and it takes a lot to impress me, and I can't even tell you how impressed I was! We then got the highlight version within a couple of days and Reid was in contact the whole time and worked very hard to make it perfect. He captured us and our wedding day perfectly! I can say I was one of those brides that thought I could take or leave a videographer and I am SO happy that I had a change of heart! This is will be something that my husband, family and friends will enjoy for years to come! The day goes by so incredibly fast and we will always have this to remember the best day of our lives. If you are looking for a wedding videographer, look no further! Thanks for everything Best Made Videos!" "Absolutely amazing! I reached out to several companies but Reid was more then responsive and flexible and made me feel really good about working with him and his company. I HIGHLY recommend them, they came prepared with ideas for great videos and had an incredible response time from day one. Stop looking for a videographer and just call/email Reid with Best Made Videos. You won't be disappointed!" "When Ron and I planned a last minute surprise wedding Reid was awesome to work with. He let him know upfront that we had a unique situation with our surprise wedding and a very sick child with cancer.. We wanted to make sure whatever video we got that it not only mirrored the love we felt, but offered a lot sentiment to both our children and all others who would see it. Reid went above and beyond with editing and giving us all the clips we wanted, He even did last minute edits upon request. The video turned out amazing and we will cherish it forever. It will give our young kids a forever memory. It also gave many of our friends a family a view of our wedding, which was awesome since we had a very small wedding party. Our 3 kiddos have already asked to watch it several times. Reid did a fabulous job at being sensitive to our needs and also giving us everything thing we asked for. The surprise wedding when off without a hitch and we have had the coolest comments about the video. Many people have adored it. Thank you Reid!" "In the beginning of our planning process for our wedding, we foolishly believed we did not need a videographer. I am so glad that mindset changed in time for us to find Reid of Best Made Videos. The theme for our wedding was "Halloween", and for a wedding with such a unique and awesome theme you need to have an equally unique and awesome videographer. Reid's style and way of editing is perfect. Shooting with him was fun and he worked alongside our photographer so well. His wife assisted him for our wedding day and she was an absolute delight to have for all the confidence-boosting! Reid gets your footage to you within 72 hours, which is so fantastic because I couldn't wait to see it! Everyone loved watching the video once it was finished, it was an absolute hit! I cannot thank Reid and his wife enough for being a huge part of our wedding day. If you are searching for a videographer, Best Made Videos is the videographer you want and need for your wedding!" "I am so happy I decided to book Best Made Videos! Reid was so great to work with. I was so torn about hiring a wedding videographer, I couldn't decide if that was something I wanted to do. Then a few months before the wedding I decided to go for it and I found Reid and he (thankfully) was not yet booked for my wedding date. I can't tell you how glad I am that I decided to have a videographer. It is so amazing to be able to watch a video of your wedding day. It gives you something that pictures can't. And Reid made us such a beautiful wedding video that I love watching it over and over again. If you are thinking about booking a videographer... trust me, you will be so happy you did and you can't go wrong with Reid of Best Made Videos." 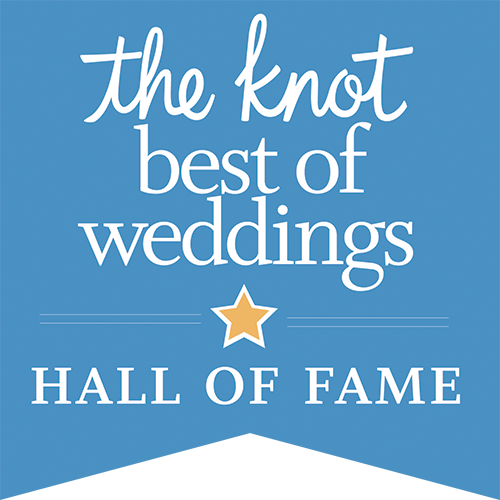 "Reid at Best Made Videos was so helpful throughout the whole wedding process! He worked wonderfully with our photographers and made the whole video process a breeze. Reid made sure to capture both the little funny moments and the big special moments. Our video turned out to be so unique and full of our personalities, we love watching it! The video was available to watch on our honeymoon and we are so thankful for that:)"
"Oh my goodness!! That was so good!!! Jesus and I love it!! 😭😭😭😭😭😭"
"Reid was awesome! He was very professional, fun and created such a beautiful video for us! It took him two days and it was amazing! The video had everyone crying and I can't stop watching it!" "When talking to all of my friends and family the one thing they all wished they could have done was have a professional video taken for their wedding. We took their advice and we are certainly glad we did. After a recommendation from a friend and watching many past wedding videos shot by Best Made Videos, we knew we wanted to book them for our wedding. Reid was incredible to work with. He gave little direction, but wanted us to feel comfortable in front of the camera, focus on enjoying every moment of our day, and to just be ourselves. He was also very flexible when working in small crowded places and coordinated well with our Photographer to make sure the best moments were captured. One of the greatest parts was the turn-around time. Reid had the full video of our wedding completed within 4 days giving us an opportunity to watch it on our honeymoon and share it with those who were unable to attend. It was such a treat! I would recommend Best Made Videos to anyone looking to capture their special life moments. Best Made Videos was one of the best investments we made for our wedding day!" "I'm so glad that my husband and I used Best Made Videos to capture our wedding day. Most of the wedding advice we received was to make sure we secured an amazing photographer and someone we trusted. We didn't think about a videographer much, and we didn't originally budget for one. A couple of months before our wedding, I woke up one day with one of those AHHH feelings, realizing that I really, really, really wanted to have professional video from our most special day. We found Reid and Best Made Videos. I loved how his videos didn't have this over the top "cheesy" feeling that a lot of companies do. Each video felt unique to the couple of their wedding experience. I knew that's what I wanted. Reid was so fast in responding to our messages, meeting up, and going over the details with us. He was also more affordable, which really helped us take the jump. We're both a little bit on the shy side, and on the day of our wedding, Reid just stepped into the most special moments of our lives seamlessly, as if he was a comfortable friend. Nothing felt staged or awkward as I imagined it would, and he truly captured us and our personalities and energy. I am so grateful that we decided to have video of our wedding, and that we used Best Made Videos. Of course the pictures are extremely important, but the wedding video is invaluable to us. We continue to watch it often, and it's really the perfect and only way to relive your day. It all goes by so fast, and the video will help you hold onto all of the little details, moments, and special memories in the most perfect way. Thank you so much, Reid!" "I have been meaning to write this review for months but I knew it would be lengthy and I wasn't sure where to even start! Reid was simply amazing! He is a true professional and kept great communication throughout the whole process. He responded fast, was super affordable for his quality of work, met with us months in advance, followed up with us prior, showed up on time and was very organized. Our video was so beautifully done and we had it back within DAYS! We didn't have to wait weeks or months. We had our perfect wedding highlight video, full ceremony video, and extra footage within only a few days. The best part about working with Reid was who he is as a person though. He didn't feel like a vendor or someone just there to film our wedding, he felt like a friend or family member that was supposed to be there. I was nervous/awkward thinking about having a camera watch us while we were hanging out or getting ready but Reid made it easy to forget the camera was even there. After the wedding, I was chatting with a friend and telling her that she has to have Reid as her wedding videographer and she asked how I knew him. It was fun to let her know that I didn't know him prior but that he is just one of those people with such an easy going and comfortable personality that makes you feel like you know him. If you are reading this review and need a videographer, you've found him! Thank you so much Best Made Videos!" "Reid was extremely friendly, responsive and helpful. His prices are very fair and always responded immediately via text, email, or phone. He showed up early, worked extremely well with photographer and adapted well to any situation that popped up during the entire day. I would strongly recommend him to any engaged couple that are wanting to have a memorable video to relive one of the most beautiful moments of their lives." "Reid and Best Made Videos were amazing!! I absolutely could not have been happier with how the video turned out! Reid was very professional and helpful throughout the whole wedding. He got some wonderful footage and the video was put together perfectly! The turnaround time was very quick as well which was awesome because every bride wants to see her wedding as quickly as possible! I would hire Reid and Best Made Videos again in a heartbeat! Thank you so much for everything!" "Reid knows his stuff. On the day of the ceremony, he arrived, right on time, got set up and was pretty inconspicuous for the rest of the time except for some specific directions. We got our videos about 3 days after the ceremony, complete with all the raw footage. His work is AMAZING, very well put together and professionally done. It definitely captured the essence of the day including all the silly moments when you thought no one was watching. We crack up and smile every time watching our wedding videos. Definitely recommended." "If you are looking for a wedding videographer in Seattle, look no further. Reid was flexible, professional, and attentive the day of our event. He captured all the amazing moments of our wedding day. Using that amazing footage, he was able to craft a perfect wedding video that we will cherish for a long time. Not only was the final product great, but Reid was very responsive via email and phone. He always responded within hours of reaching out, if not minutes. We highly recommend Best Made Videos." "We love our video! Joe did a great job of capturing the best parts of the day without being at all intrusive. Would definitely use them again (for another occasion, of course)." "We could not have asked for anything better. He is phenomenal! My husband and I were blown away by his stellar work and fun but professional presence. He works well with families and helped the large group moments go smoothly. Reid is on top of his game. He knew exactly what we wanted even before we did. I can not stop singing his praise." "Stop your search. You've found him. Reid is the best in the business. Reid brings kindness, creativity, and professionalism to all his videos. We did not have one complaint about the entire process of working with Reid. He was very patient and accommodating and the final product is to die for. His prices are VERY reasonable for his talent level and attention to detail and he's someone who I would highly recommend every time." "Reid was an absolute pleasure to work with. Prior to the wedding he was accessible and more than happy to work with us as we ironed out details for the wedding. During our wedding Reid worked closely with our Photographer coming up with creative and unique photos and video footage. Because of this, Reid was able to produce a wedding video that not only do we love and cherish but our family and friends have commented on how much they love it as well and brings tears to their eyes every time they watch it. Reid even took time to help us make sure that we were able to embed the live stream of our wedding onto our wedding website so that our family and friends who live in different states and another country could watch and still be a part of our very special day. Reid is a courteous professional who is extremely talented. We can't recommend Reid enough if you are looking for a videographer who will be able to capture your special day." "This was incredible!!! Thank you so much, it's beautiful. Somehow it turned out better than we could have imagined." "The video was everything I was wanting." "We were so happy with our trailer and full video that Reid made for us. Having a videographer was really important for me for our wedding, but in looking around, it seemed the cost for what you were provided was just not feasible. Until I saw Reid's site. He goes above and beyond for his couples and his turn around is SO FAST! We loved watching our trailer on our honeymoon, and saved our full length film until we got back so that we could watch it with family and friends. I loved every minute of watching it, and getting to see moments of the day that I never saw on the actual day. It was so special, and I would recommend any couple to Best Made Videos!" "Reid and Joe joined us for our wedding day and put together an amazing final product. They even coordinated the use of a drone so we could get some incredible shots of the church where we got married. Our event ran long and they agreed to stay throughout to ensure that they captured all of the priceless moments from our day. We could not be happier. Thanks Reid and Joe!" "We love our video produced by Best Made Videos. They have been so accommodating, personable and easy to work with. The best part of our video is that they were able to record music provided at the wedding as the background music for our video. Thank you so much for all your hard work Reid and Jeff." "Reid and Jeff were so easy to work with and made us such an amazing wedding video! He is very responsive and professional. Five stars well deserved. He was so good at capturing all the important shots at the wedding. Not to mention, he was so professional and made everything on the day of the wedding so easy. I would absolutely hire Reid again and again. We hired Best Made Videos based off of reviews, and I am so glad we did. One of our best wedding decisions!!" "Reid and Joe were great! They introduced themselves to everyone and were really easy to work with. We received our videos much faster than anticipated. And when we were having an issue downloading it, it was really easy to get in touch with him and he responded very quickly. Highly recommend!!" "Reid traveled to Oaxaca to film our wedding. He is professional, personable, easy going, and truly seems to enjoy his work, which is awesome! He didn't speak much Spanish, but it wasn't a problem at all. He collaborated well with our Spanish speaking-photographer and the rest of our wedding team. Reid took the time to ask us what it is we wanted to make sure was captured in our video, but we really didn't know, so we did not give him much to go on, but Reid took it in stride and produced an incredibly unique and special final product. He went above and beyond our expectations. He recorded original music and captured some of the most beautiful shots of Oaxaca we had ever seen! Everyone who has seen the final video has complimented the quality of the videography and the amazing editing. I cannot recommend Reid highly enough." "Absolutely Amazing!!!!! Oh my word! We are so so so happy! Definitely your best work ever not that I'm biased or anything!!!! I think we'll be watching this again, and again... And probably the rest of the night really! You captured so many wonderful moments, like Ally in the room and Sean wanting a re-do. And of course Jakey boy and my grandma made my heart melt!!! So incredibly in love with this video! Must have watched it hundreds of times already. Had the best experience working with Reid for our wedding and we absolutely love the video we received while still on our honeymoon. Reid of Best Made Videos first made a positive impression at Brides Against Breast Cancer and made himself available when I decided I wanted a video at the last minute. I love that we have an amazing video I have already watched over and over again, and I am so happy that Reid was a big part of making that happen. Thank you Reid & Best Made Video, for everything!" "He was super nice, helpful, and responded super fast! He was so funny and was never in the way with bulky cameras or getting in the way of people dancing. I love that we chose him!!!" "Reid was very easy to work with, very responsive to all of my questions, happy to help on the day of, and overall provided my husband and I with remarkable service and created a beautiful product. We are so happy that we decided to hire Reid, and I would recommend his services to anyone looking for an even videographer." "Reid was amazing. He was so easy going and a pleasure to be around. Our wedding day was extremely stressful with obstacles left and right and he made it better. He was able to capture so many moments that I wanted and I didn't even have to ask. He knows what he's doing. I was so impressed with the video and turn around time. We were married on Saturday and received our video the following Wednesday! I will use him for any future events and recommend him to everyone." "Reid, That video is amazing. Thank you so much! We couldn't have asked for anything better. Thanks for spending our special day with us, we will never forget it. You are the BEST!" "Reid was awesome! Very professional. Showed up right on time and was ready to make us the best wedding video possible. He is so friendly and easy to get along with. His creative eye gave us a wedding video we will love forever and are excited to share with our friends and family. We will definitely be contacting Reid for any other events we would like documented. We highly recommend his professional work!!! He got our wedding video back so quickly we couldn't believe it!! Thank you Reid!!!!" "Wedding planning is difficult... dates, timelines, budgets, researching vendors, new budgets, hiring vendors, (oh and did I mention budgets? ), etc. A lot goes on behind the scenes pre, during and post wedding. Initially my (then) fiancé and I wanted to have a photographer & videographer but it wasn't "in the budget." During our time planning we initially decided to move forward without a videographer. We went to a couple of wedding expos, spent time researching vendors and found that we continued to look at videographers. We spent a lot of time reading reviews, viewing highlight videos, etc. 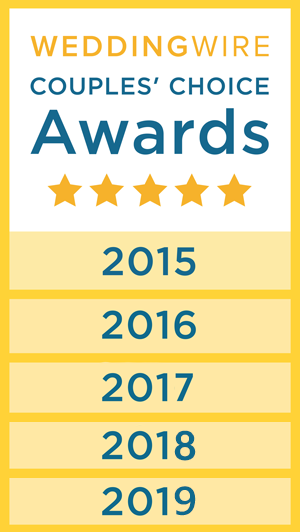 and Best Made Videos was always one of our favorites and often the top rated company. We decided to "stretch" the budget (again) and see if we could find a videographer that was available, had quality videos and was willing to work with us a bit on price. We received a few quotes and although a few were lower, there were even more that were higher priced. In the end it came down to quality of the product and this is when Reid (our videographer) came in to the picture. We really liked his style and the quality of the videos he created. We were excited to learn he had availability on our wedding date. If you are searching for a videographer to film your special day, I would HIGHLY recommend Best Made Videos. To put it plainly, Best Made Videos is simply that... The BEST!!!" "Reid is awesome. Our wedding video was amazing. He's very responsive and will do anything to make you happy and made sure to capture all the special moments. He was very patient with us with all our wedding details and multiple emails back and forth. Super impressed with how fast he got our video to us and how fast he responds to emails/messages. We had our video within the week." Gaudi Wedding on 3/14/15 at Safeco Field in Seattle, Wa. "Reid and Best Made Videos provided the videography for our wedding, and we couldn't be happier with his work or our experience with him throughout our wedding weekend. Reid is the consummate professional and a total joy to work with. He was able to adjust his plan on the fly, which was imperative for our fairly complex wedding itinerary. Unlike most wedding videographers, he delivered the final product WITHIN DAYS of the wedding, which is unheard of." Tired of Boring Wedding Videos? - So are WE!!! Check out our promo video showcasing just SOME of our favorite moments from all of our 2018 weddings. We love what we do and we hope you do too!